The international trade fair quartet GIFA, METEC, THERMPROCESS and NEWCAST is THE platform for meetings and business. International buyers, users, experts and decision makers from the metallurgy, heat technology and foundry industries meet here at four events, from 25th to 29th of June 2019 in Düsseldorf. At the most important global platform for custom-made cast products, you will once again find everything which moves innovative casting technologies. 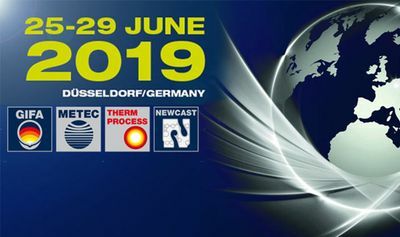 efficiency: If you want to be actively involved in shaping the future, then NEWCAST 2019 is a must. Save the date and also meet our team in hall 13 on stand A19!